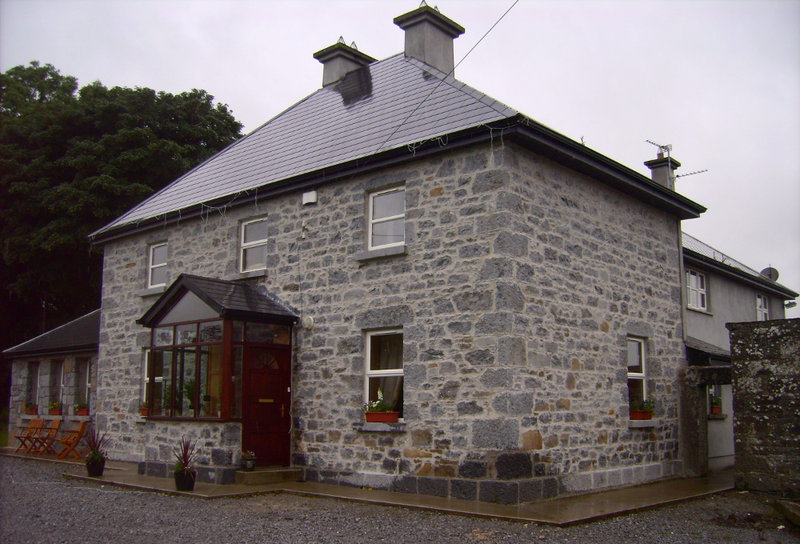 Brick & stone Lime mortar re-pointing | Mathieu & Mitchell Ltd. Pointing is vital in keeping masonry walls weather tight and if done badly the result can be disastrous both technically and visually. Pointing is intended to be sacrificial so that it decays in preference to the stone or brick; it therefore needs replacing from time to time. It's quite common to find that only some of the joints in a wall have decayed and in such cases only these joints should be re-pointed. If the mortar is carefully matched the patching will quickly weather to match the rest and it’s cheaper to re-point only those joints that need it rather than a whole wall. A great deal of money is wasted on unnecessary re-pointing, reducing the amount of money available for other repairs. Before re-pointing an old masonry wall of stone or brick it is always important to assess and verify that the stone/brick is frost proof and not too porous, that the wall is stable with no loose stones/bricks and/or cracks. Re-pointing a stone or brick wall that was designed to be plastered is not conservation or restoration best practice and can lead to damp ingress in the walls, even if a lime based mortar is used. Traditional lime mortars are usually soft and, although they can often be scratched with a finger nail, they can still perform their function of keeping the inside of the wall dry. Re-pointing is only necessary when the mortar has become so loose, powdery, decayed or eroded that water can penetrate the joints. Do not mistake soft lime mortar for decayed mortar, in most cases if much effort is required to scrape out the mortar then the wall does not need re-pointing. If a wall has been re-pointed with cement mortar which is still in good condition it will probably be very difficult to remove. Removing it may damage the stone so unless there is a significant problem of damp penetration it may well be best to leave it until it cracks of its own accord, (which it almost certainly will). Once it has cracked away from the face of the stone it can then be picked off quite easily. Unfortunately by this time the stone may have been damaged by the mortar but probably no more than would have occurred by trying to remove the mortar whilst it was stuck firmly to the stone. Joints should be thoroughly cleaned of dust and debris from top to bottom using brushes, compressed air or with a hose so the water takes the dust from the joints on its way down. Power washers are very strong and can create rather than remove any dust left in the joints. This is important as dust that is left in the joints will deplete the bond. The wall should be dampened down the day before and a few hours before re-pointing, the same way as for lime plastering. It is very important to control the drying time by protecting the walls from the sun and wind to avoid a fast drying and a poor carbonation. It's good practice to spray the fresh joints with water to slow down the drying process and to achieve a better carbonation. Lime mortar should not be used if the temperature is below 5 degrees or likely to freeze in the coming few weeks. Mortar should be plastic and workable but as stiff as possible, too much water will encourage cracks when drying. The lime mortar should be pushed into the back of the joints in layers, avoiding large volumes of deep filling at all times. On rubble elevations, pinning stones should be used to fill wide and deep joints in the same style as the original build. This will reduce the volume of mortar required and will assist the process of setting and final full carbonation. Joints are filled to excess and then brushed back to the desired level when dry. The mortar is ready for finishing when it still looks damp but has hardened, so that a finger pressed onto the surface barely leaves any impression. Once the surface of the mortar is firm, (usually the next day), the joints are brushed with a soft wire brush. If this process is undertaken before the surface has stiffened mortar will be smeared onto the face of the stones or bricks. This stage will require some skill to avoid creating an uneven surface to the joint. It's best to aim for a flat, vertical face to the joint, flush with the face of the stone or brick; this will help the rain water to flow down the wall. Buildings made of very rough, poor quality rubble stone with wide and irregular joints, were probably originally protected with a lime render. In such cases, it is usually more successful to do a semi-render were the smaller stones are covered, or even better re-rendered as original.